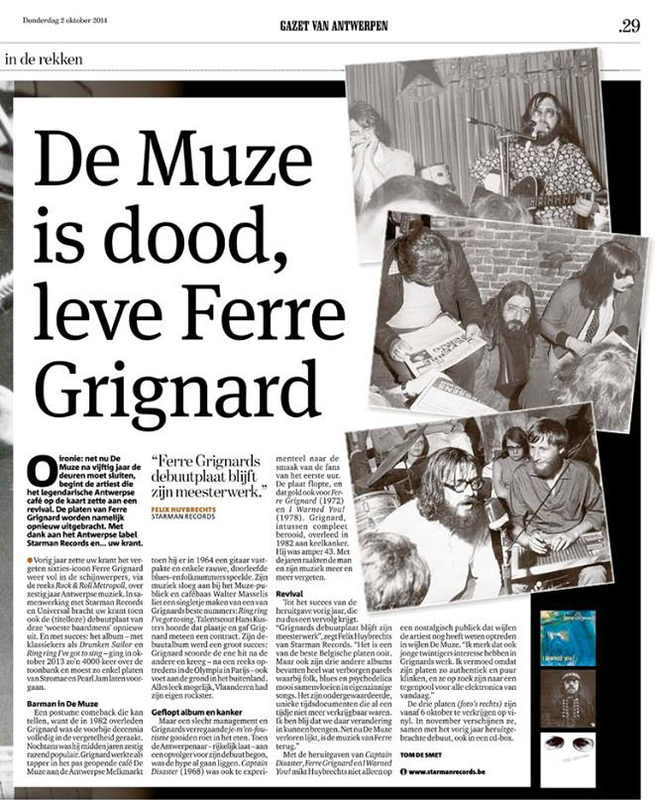 Ferre Grignard - I Warned You! 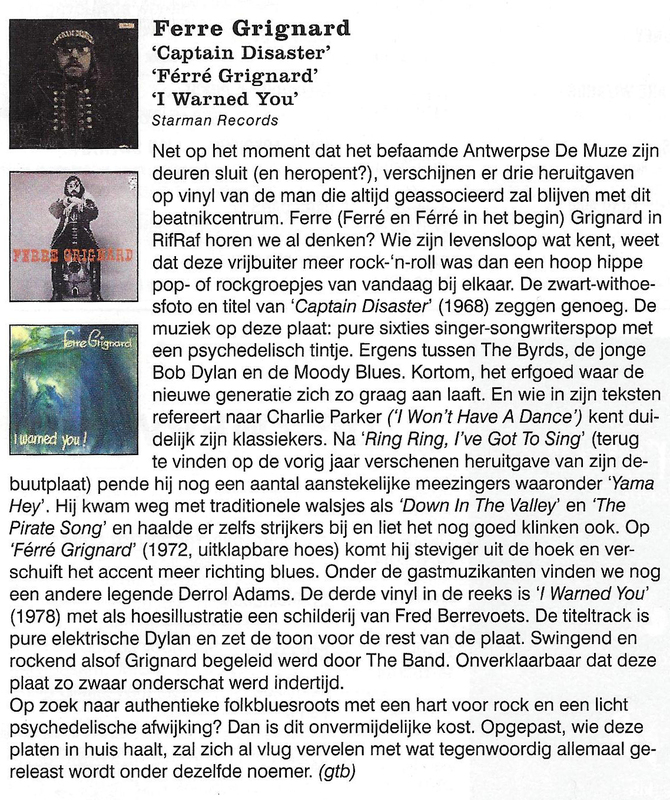 In 2013 Starman Records re-released the debut album by the legendary Belgian folk- and blues singer Ferre Grignard on vinyl. His 3 remaining albums in his short career are now re-released on vinyl too ! 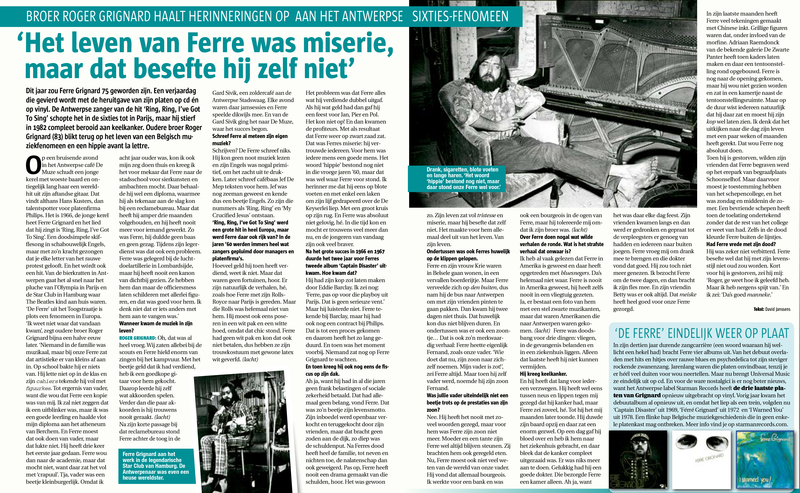 Born in Antwerp in 1939, Ferre became a true icon in the sixties, adored by youngsters and hippies and hated by the establishment. His successful debut album in 1966 which featured the hits “Ring Ring, I’ve got to Sing”, “Crucified Jesus” and “Drunken Sailor” brought him an international break through with concerts in Paris, London and Hamburg and leading to a contract with the famous French Barclay label. The next 3 albums did not equal the initial commercial success, a pressure the music business was happy to put on his shoulders. Still these 3 albums re-leased now in their original packaging and artwork on vinyl for the very first time, are loaded with hidden gems, combining folk, blues and psychedelics in Ferre’s original songs. Grignard sadly succumbed to throat cancer already in 1982 at the early age of 43.